 Welcome to Hagert Square, a 30 home new construction development just steps from all the best that Fishtown has to offer! 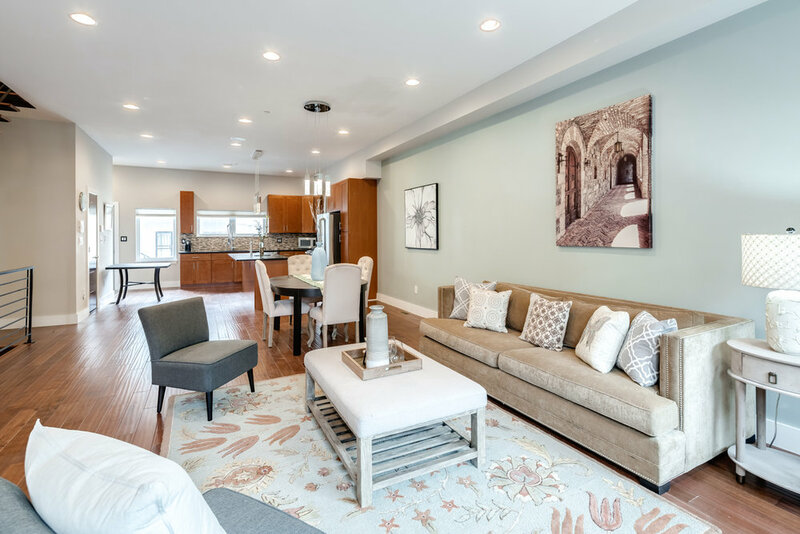 This stunning, contemporary home features gleaming hand-scraped hardwood flooring throughout, large, airy rooms with tons of natural light and state of the art finishes. 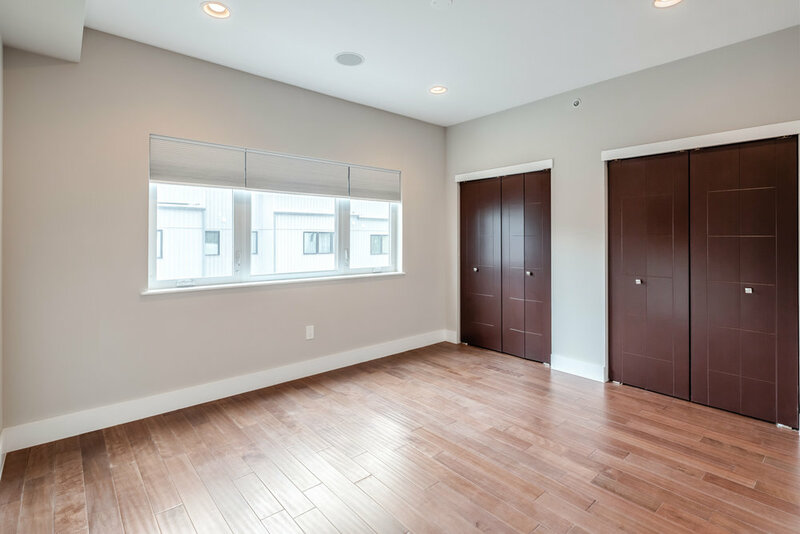 Wider than most at 21' feet, you immediately feel a sense of space and light not offered in most traditional row homes. 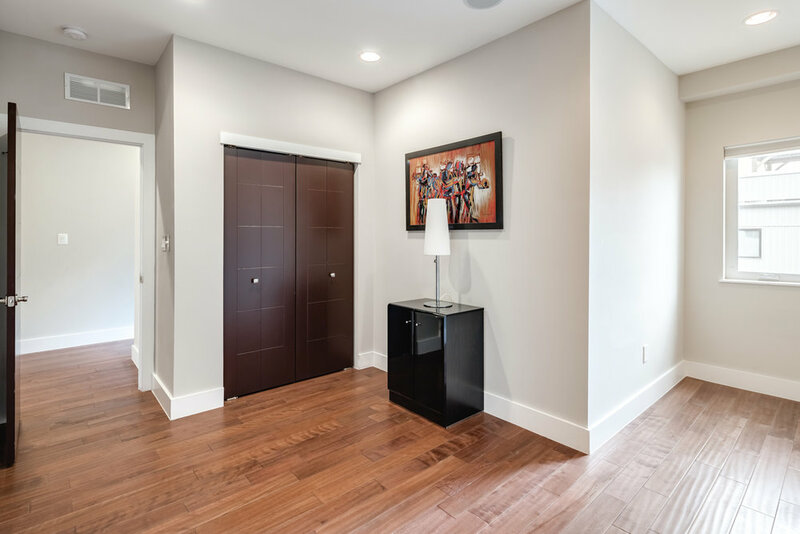 The first floor features an open floor plan with soaring ceilings, recessed lighting and a modern, open staircase. 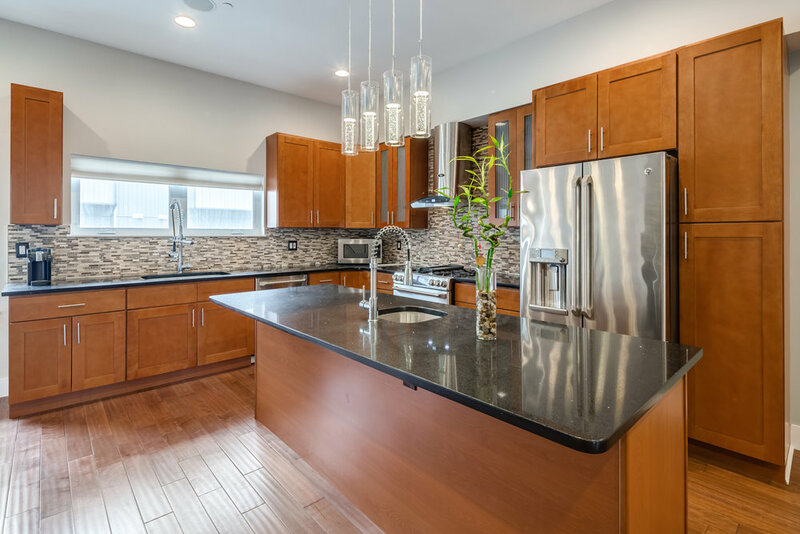 The kitchen is a chef's dream with 42' custom walnut cabinets, a glass tile backsplash. stainless steel appliances, a wine refrigerator and polished black quartz countertops. The center island offers plenty of room for food preparation and gathering with friends and family. The dining area easily seats a table of eight and begs for a dinner party. 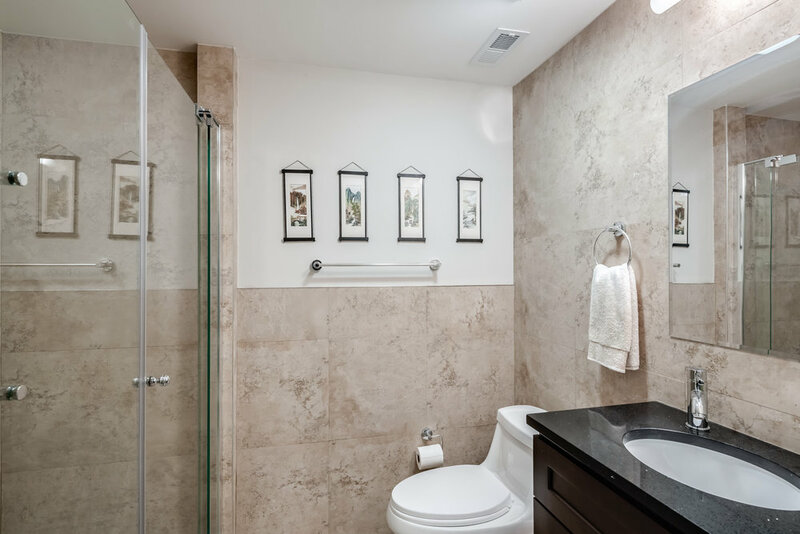 Upstairs find three bedrooms, a sleek, modern hall bath with soaking tub and laundry area. 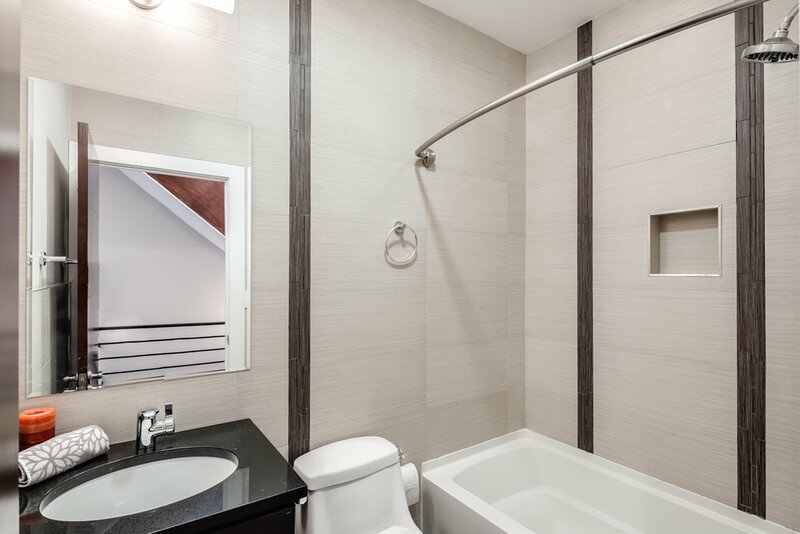 The Master Suite rivals a five-star hotel and boasts a sunny balcony, perfect for morning coffee, and a spa-like en-suite bath complete with ceramic flooring, an extra-large, glass-enclosed shower with duel shower heads and quartz top double vanity. 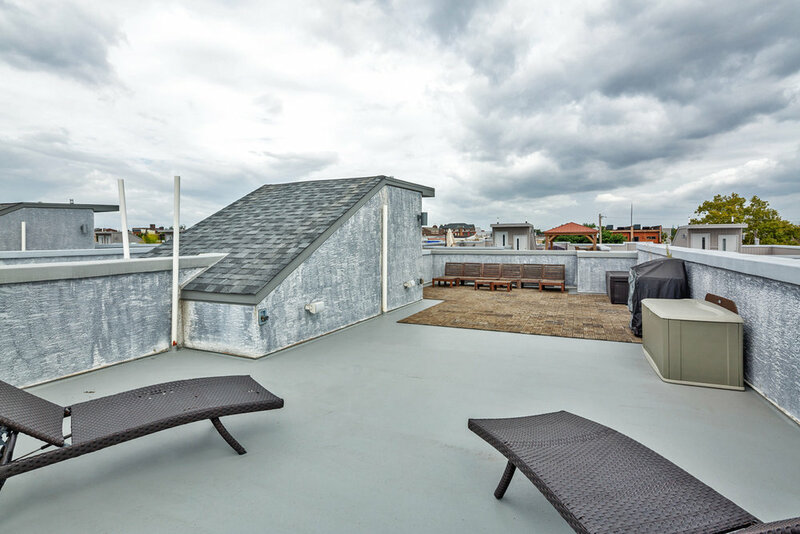 The home's crowning jewel is the maintenance-free fiberglass roof deck (with 5 year warranty!) offering sweeping views of the city, perfect for entertaining or spending fall evenings dining al fresco. 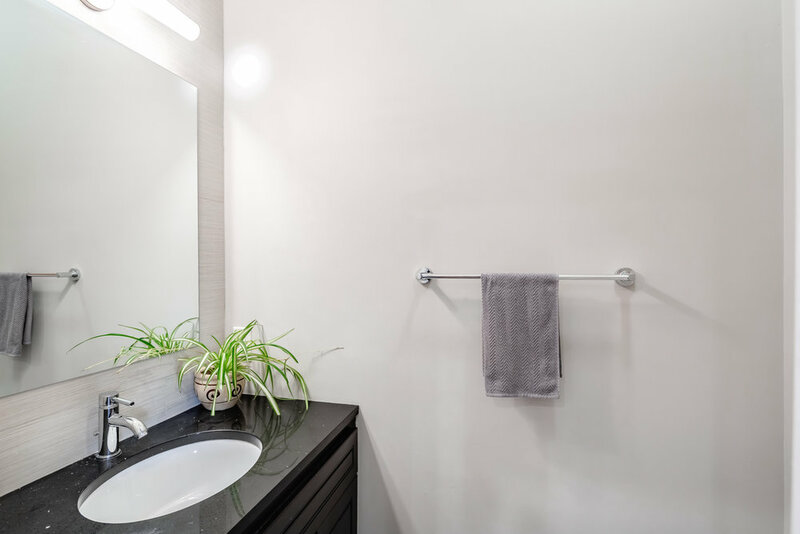 Adding even more living space, the basement is finished with tile flooring, recessed lighting and a full bath with stall shower, ideal for guest quarters, a home gym or a game room. The very best part? Two car deeded parking just outside your back door! Sunny and bright, this home is on a tree-lined street just two blocks north of York Street. Memphis Taproom, just two blocks away, will be your favorite watering hole and you'll love joining Greensgrow's CSA. Enjoy a coffee at ReAnimator, lunch at Loco Pez or Kraftwork, pick up a pizza at Pizzeria Beddia and drinks at Johnny Brenda's, Lloyd or Stephen Starr's Frankford Hall. Take part in Fishtown's special events like the Kinetic Sculpture Derby, Trenton Avenue Arts Festival and First Friday gallery openings. The Huntingdon or Berks stops on the El allow for a ten minute ride to Center City. 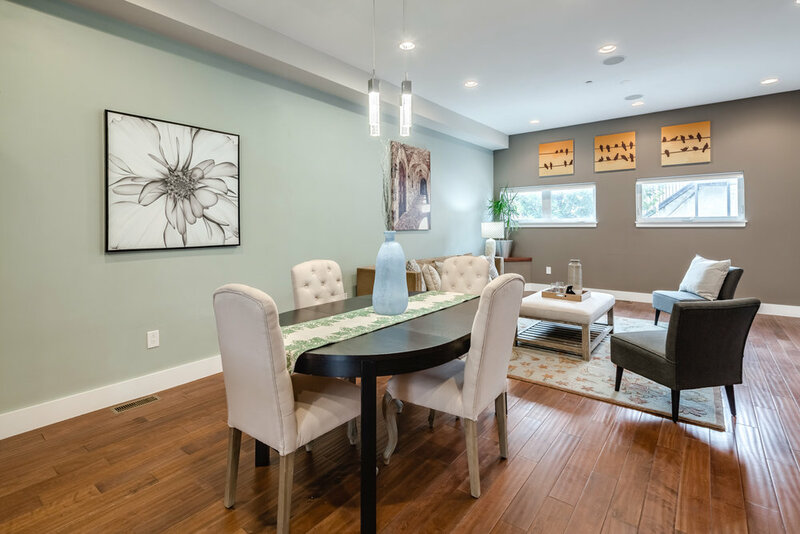 If you are looking for convenient living with every modern amenity at your fingertips and a seven year tax abatement, you have found your home!